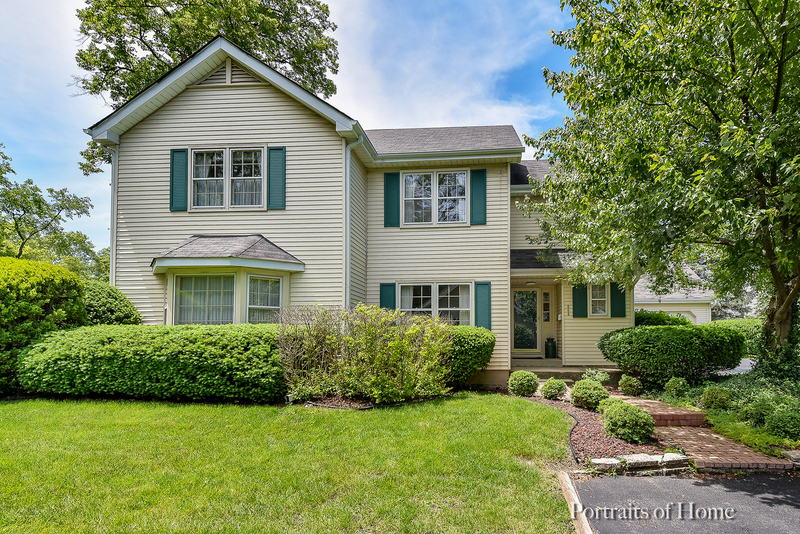 Carleton Court, a prime Northside Wheaton location on a premium treed lot on a private cul-de-sac. Just blocks to top rated Longfellow Elementary School, Metra station, parks, shops, restaurants, Prairie Path, Lincoln Marsh, Cosley Zoo & children&apos;s Tot Lot. Recently remodeled kitchen with granite countertops, custom made cherry cabinetry, stainless appliances, & convenient banquette breakfast area. All 3 baths (2 full and a powder room) have recently been updated. Flowing floor plan is ideal for entertaining & comfortable living; formal living room with fireplace, formal dining room, den, and a family room w/fireplace. 3/4 bedrooms including master w/adjoining sitting room (note sitting room easily converted back to 4th bedroom as it has a closet & separate entrance). Cozy gallery w/built-in bookcases at the top of the open staircase makes a wonderful place to study or red your favorite book. Full basement, attached oversized 2 car garage, & a huge 2 tier deck off family room.